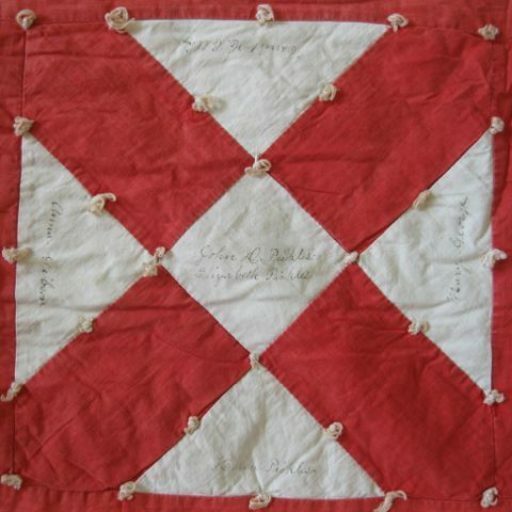 Do you have or create a red and white quilt? Do you own a quilt that uses words to make its statement? 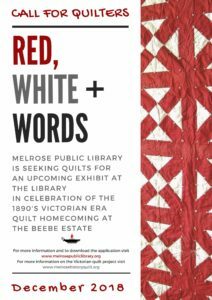 The Melrose Public Library will display quilts with the theme, “Red, White + Words” during the Melrose History Quilt homecoming. Their call for quilts is open until October 17, 2018. Quilts should be no larger than 30″ square and have a hanging rod and sleeve. Send a completed application and at least one digital image to the email address on the Red, White + Words application. Melrose residents or those with ties to Melrose will receive priority consideration.